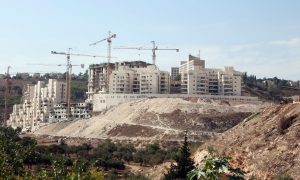 Qatar’s foreign ministry Tuesday urged the international community to press Israel to review its plans to establish a new unlawful settlement in the city of Nablus, part of the West Bank within the internationally recognised Palestinian territory. The Israeli government, according to local accounts, approved a 60 million-shekel ($16.7 million) plan for the construction of Amichai settlement as an alternative to the Amona Jewish outpost, which was evacuated few months ago, reports say. The settlement blatantly violates the international law and erodes hopes for the creation of the Palestinian state. There are 600,000 Israelis living on stolen Palestinian territories. Doha described the decision as “a flagrant violation to the international legitimacy resolutions and a blatant attack over the Palestinians’ rights”, Middle East Monitor (MEMO) reports. Peace talks between the two sides led by the US have stagnated since 2014. Visiting the region late last month, UN Chief Antonio Guterres criticized Israel’s continued occupation and said that “there is no plan B apart from the two-state solution proposed by the international community”. On Monday, Gaza ruler Hamas also criticised the illegal settlements arguing that they leave Palestinians with no options but to fight by all means. The Resistance movement also pointed out that Israel’s ongoing plans demonstrate failure of all negotiation projects.